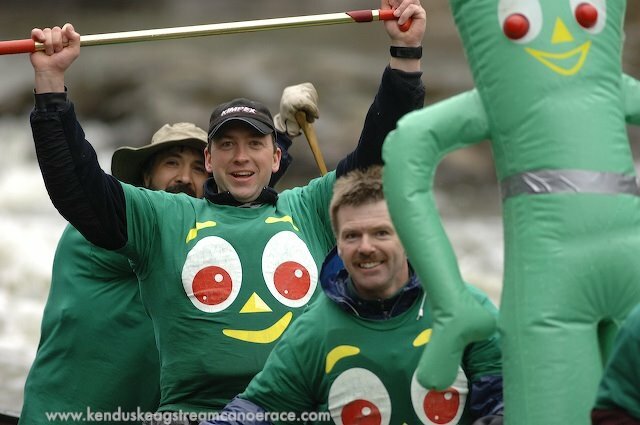 Gumby Crew: Right back at ya with the love. 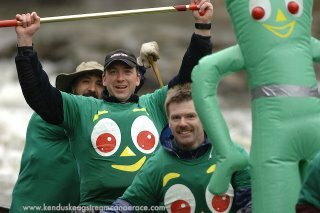 My 2006 Kenduskeag Stream Canoe Race photos are now online. Holy cow - what a demanding photo shoot it was today! Lots of fun. Although I didn't paddle, I got just as wet as many of the people who did. So much for staying dry on the bank of the stream. By the way, I didn't shoot at Six Mile Falls this year. This time around I chose the Shopping Cart rapids closer to Bangor. There were 339 boats this year (258 of which finished the race) and I think I snapped just about all of them. If you do not appear in the galleries, it isn't because I didn't like you. It's because a paddle or another person (or both) got in the way of me seeing your face. Blame my wet, cold shutter finger and the overall timing of things if you must. If you did the race today, I tip my hat to you. And to Dirigo Rescue: The Shopping Cart crew did a heck of a job ensuring a safe and fun race for all. Just thought you might want to know. They also provided this humble photographer with helpful radio updates during the race. They didn't have to do this, but they did. And I appreciate it.